I have a secret I've been keeping for close to 8 months now. And no, I'm not about to become a father! This past February, I attended the New York Times Travel Show and won a drawing for a free trip to Tokyo, Japan. The prize, courtesy of Japan's tourism office, included round trip airfare on Continental Airlines, two nights hotel stay, a $150 train voucher, and oddly, a small (cheap) sculpture of a “lucky cat” which was mailed to my home. I gave little consideration to visiting Japan on my trip around the world, writing it off as too expensive. And while I enjoyed sushi and learning about Buddhism at the time, I have a deeper appreciation for both as a result of the last few years. Also, in talking to other travelers who have either been to Japan, or speak of it as a dream destination with a sparkle in their eye, I've become a little more curious about what the country and culture has to offer. Earlier this year, I considered taking the trip in late August or early September so I would be in a position (weather-wise) to climb Mt. Fuji, the highest peak in the country. When my parent's sold their house, my priority was a return to Colombia. The hotel stay, which was only two nights, expired after 6 months, as did the train voucher. The real prize, in the form of the round trip airfare, is valid for 12 months. As my second stint in Colombia draws to a close in mid-December, I'm preparing to book my flights. After celebrating New Year's Eve in various foreign cities, such as Christchurch and Paris, I can't resist the idea of celebrating in Tokyo. Have you been to Tokyo, or that region of Japan? If yes, please share a few suggestions on what I should do there. I'm giving myself about two weeks, excluding the transit days to/from Washington, DC. This is by far the biggest prize I've ever won, so the next time you're at a travel show, be sure to enter those drawings because people really do win them! Yay! How exciting is that?! I’ve never been to Japan, but I look forward to reading about your experiences while you’re there. Thanks JoAnna — a friend of mine in China said that Tokyo is simply overwhelming, and that’s a feeling I love to have while traveling. wow! winning a trip to japan sounds incredible! have a great time. I’d love to go there one day. Tokyo is the only place in the world I’ve ever gotten lost in. Be sure to read up on the Metro system…I think it’s owned by 6 different companies. So, if you buy an all-day pass it’ll only work on that companies’ line. I’ve gotten lost in a lot of places, but at least having Google Maps on my Blackberry means I have some clue as to where I am at any given time. Lucky you! Asian culture excites me. I think it will definitely test my comfort level… can’t wait to get there myself! Wow, congratulations! That is so cool! It’s true people do win those things. I once won an all expenses paid week trip to Puerto Rico. Not nearly as cool as Japan though. Christine — hopefully, if what Steph @20stravel was saying is true, Japan is not as expensive as we think. Might be wishful thinking, but I’ll find out soon enough! Tokyo is really not to bad in my opinion either. If you want to live decently but still frugal. You can eat out at Ramen shops for $5 or pickup decent food like sushi from 7/11 for the same amount. Then you can find hostel dorm rooms for $25-$30 a night. Getting around on the subway is efficient and cheaper than if you were paying for taxis in Colombia. Excellent to hear Jason. I’m going to try and do a little couchsurfing too. I’d suggest taking the shinkansen / bullet train to Kyoto for 2 or 3 days. Amazing city with so much culture. Stay in a ryokan if you can, quite an experience and the baths are awesome. My favorite sites were the Kinkakuji temple (covered in gold leaf), the bamboo forest and the Kiyomizu Dera temple. It was summer when I went, but I imagine the city is still quite a site. Chance across a geisha if you’re fortunate and eat fish for every meal until it’s coming out of your ears. Og, and if you want to go to the Kyoto Imperial Palace, you have to make a reservation in advance. It’s a nice history lesson, but not the most glamorous. Hey Mark, thanks for the Japan tips. I definitely want to ride a bullet train, so maybe Kyoto is within reach. Japan is amazing! I just got back from two weeks there. Kyoto is amazing – definitely a must-visit city. And in Tokyo, eating in an Izakaya, enjoying sushi for breakfast at the Tsujiki fish market at 6am is great (although you can feel a little uncomfortable in this touristy place – recommend smiling at the workers and asking before you take any photos! ), just wandering through the neighbourhoods is trippy (Shibuya, Harajuku, Shinkuju, Asakusa etc etc). The people are wonderful and oh-so-polite, and everything works and is on time. Have fun! Thanks for the tips Rebecca! Everything works and is on time? Sounds like Switzerland! Will be a nice change of pace from Latin America. Since corresponding for some time for just a proper read in regards to this kinda ecological niche. Assaying in Bing I now spotted this web site . Looking this information So i am pleased to convey that I have a very good depression I bumbled onto whatever I was ready for. I’ll make sure to don’t forget this website and commit it a look consistently . Who wants to go on a intensive diet ,haha?. Eat however much you wnna, just don’t forget to keep working out! 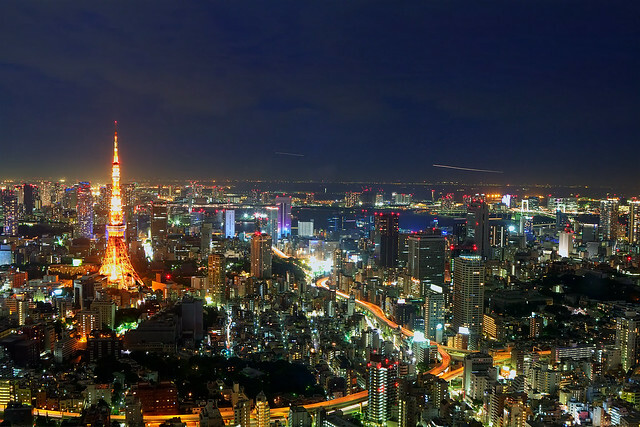 Tokyo for New Year’s sounds amazing! I’ve written it off for the moment due to hearing how expensive but hope to make it one day. And like Rebecca says, I’ve heard Kyoto is amazing as well. This is a great start. I’ve got a trip booked for May and this gives me a great place to start planning!